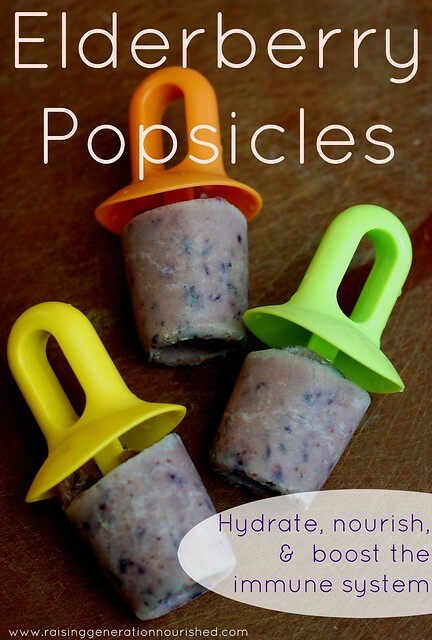 I know I already posted some popsicle ideas a couple weeks back, but I thought I would focus in a little bit on how to use popsicles when you have little ones that are either ill, coming down with something, or have been around illness at school. 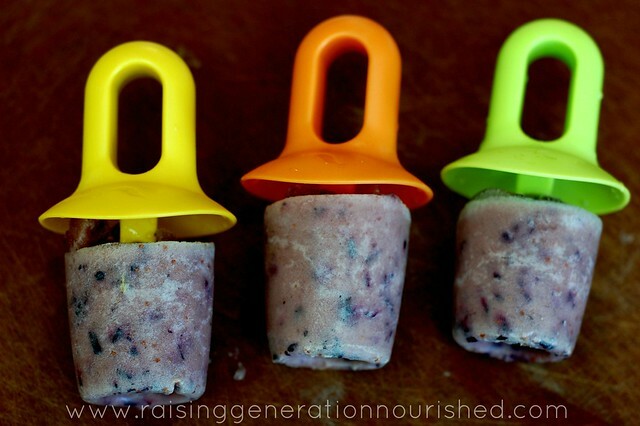 These elderberry popsicles are great because you can cater the recipe to how your little one is feeling. At the height of illness, when she doesn’t want to eat or drink much, they can be made as bland as possible while still hydrating and getting the virus zapping elderberries in. If he doesn’t have a full blown illness, but is either just a bit run down or has been around some cold or flu at school or the library, they can be made with very nutrient dense ingredients as if almost a smoothie. It is important to listen to the body. Letting their bodies use their energy to fight off illness instead of digest food is important. They obviously still need to stay hydrated though, so using a popsicle during fever can be helpful when they don’t feel like drinking. 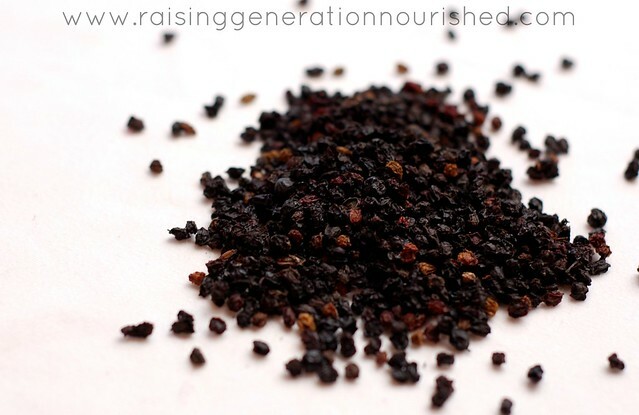 Elderberries are well known for their immune boosting properties specifically against viruses like the cold and flu. Elderberry syrup packs a powerful punch of immune system support! Grab some popsicle molds for little hands or bigger popsicle molds for older kids and have fun making some summertime popsicles this month, and then keep them on hand for this fall to make immune boosting elderberry popsicles! These look great! Thanks for the refreshing idea! I have a bunch of elderberries I harvested from our farm last year still waiting in mason jars to be used. Might have to dust them off and try this! Oh awesome Jacquelyn! What a blessing to have fresh from your own farm! Great idea! I will be doing this when the sickies strike. Love those popsicle pops! And this is a great alternate to elderberry syrup! 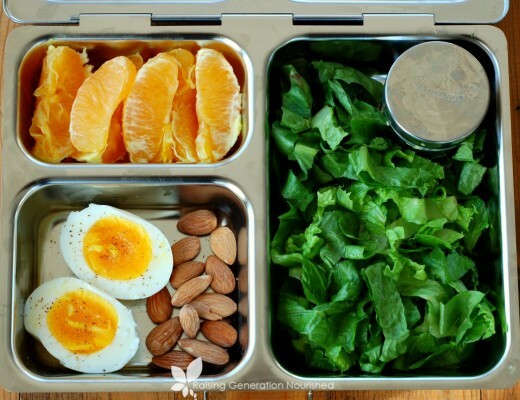 I have never considered adding egg yolks! I love that you have two options included. Just ordered elderberries! Going to have to try this! This is such a great idea. I think this is an important thing to have on hand either to take the syrup directly or to make into popsicles. I love the way you have multiple recipes depending on what phase of illness/healing you are in. I will definitely be trying this. This reminds me that I am going to need to be stocking up on some elderberry syrup soon. Thanks for the recipes.